Happy Saturday! It's been a crazy week for me. Finals at school are quickly approaching (as in this coming week), work has been keeping me going and there has been a lot of important TV to watch (did you see The Wiz Live?!). When it came time to make this week's holiday inspired post, I knew I'd want something that would be simple because if I think this week is stressful trying being in the days leading up to Christmas, yeesh! A cobbler is a statement piece. It's not quite a perfect pie, but it says everything is comfort and joy. It reminds me of home. It's warm and sweet and lovely. It's so perfect in it's own yummy way. This recipe is literally the most simple thing in the world! I truly had no time, and in 10 minutes I had it in the oven ready to cook. If you haven't already, go ahead and peel your and slice your apples. I only needed two for the pie pan I was making this in, but if you were making it in a large glass rectangle dish, I could see needing one more or two more apples. 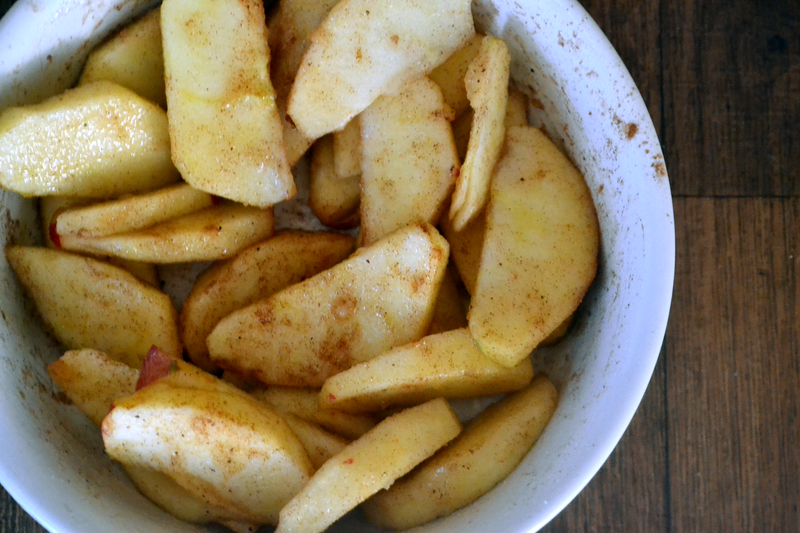 put apples in a dish and sprinkle with 1/4 cup of sugar, a bit of cinnamon and a touch nutmeg. 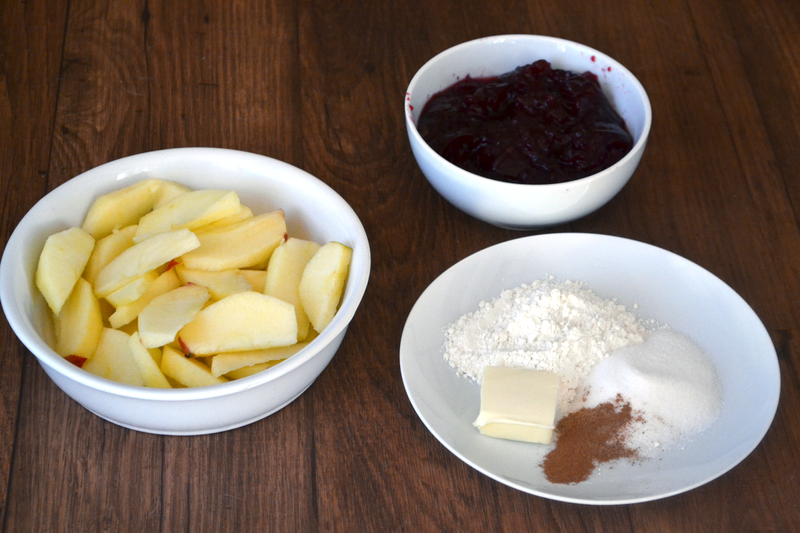 Place the apples in the pie dish and then pour the can of cranberry sauce over the apples and mix together. In a mix bowl combine flour and the other 1/2 cup of sugar. Mix in the milk, vanilla and then cut in the butter. 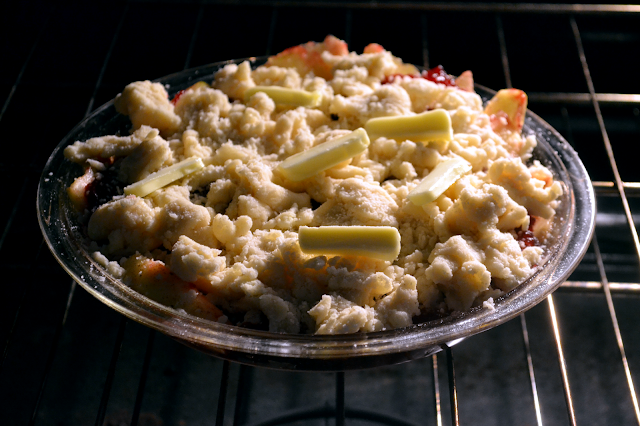 At this point the crumble should be ready to go. You can always add in a bit of flour to make it more "crumbly." Add to the top of the pie dish. I then just cut a little pad of butter into small strips and added to the top of the crumble and put it in the oven. Bake it for a half hour until the top is golden brown and the filling is nice and bubbly. Let cool for a few minutes, and then serve with your favorite ice cream or another family favorite like "shhh shhh" aka Whipped Cream. 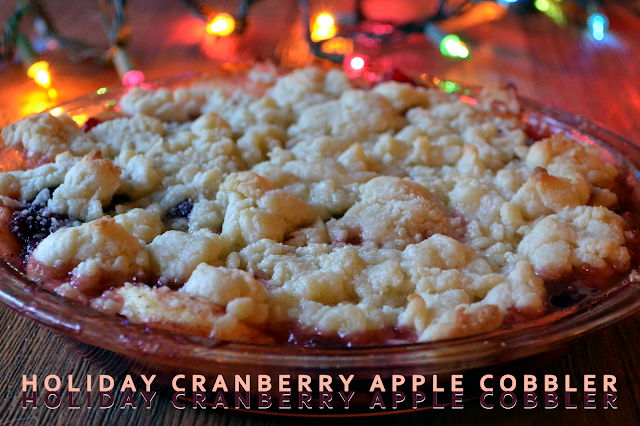 I will definitely be making this for any holiday gatherings I'm headed to this season because it is just too easy! With the holidays approaching we can all use easy things to mark off the checklist. 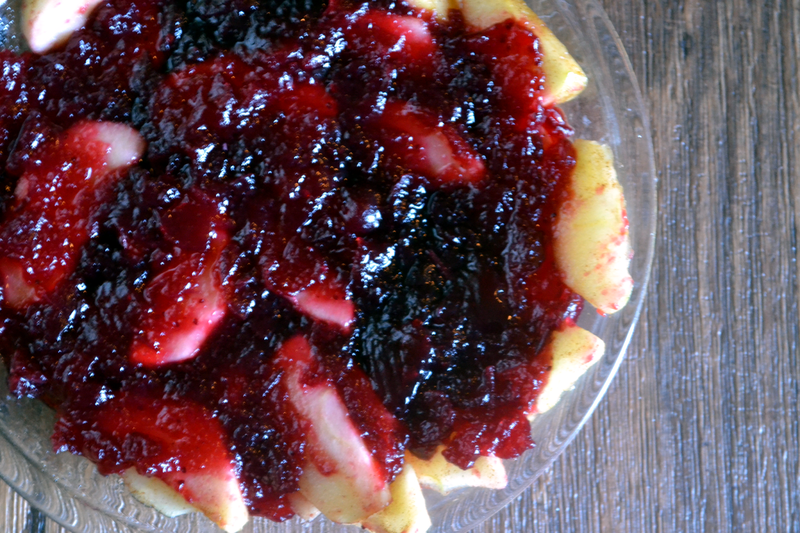 What desserts are you making this holiday season? Does this inspire you to make something simple? 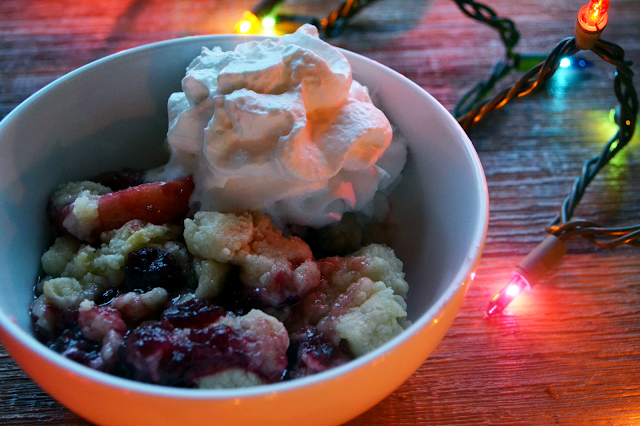 Tweet us your holiday recipes with the #HolidayBTT and we'll check them out and share them with our follower.